Leave a lasting legacy that will live on to help others. A Gift in your Will to the Heart Research Institute provides important funds to develop research projects that would otherwise not be possible. Your Will doesn’t need to be complicated – it just needs to reflect your wishes. The most important people you should consider are your loved ones. Once you have provided for them, consider nominating the Heart Research Institute as an additional benefactor. If you have any questions, please contact our Gift in Wills Relationship Manager, Laura Petroccitto on 1800 651 363 - or get in touch with Laura using the form at the bottom of the page. Make sure you talk to your family about your intentions. Family comes first and it’s important your loved ones know about your desire to support the Heart Research Institute so they can fulfil your wishes. A Residual Gift: With this type of bequest, the Heart Research Institute receives the balance of the estate after those specifically named in the Will have been provided for. A Percentage Gift: This can be any percentage of your total estate up to 100 percent. This type of bequest enables you to share your estate among several people or organisations without specifying the property or amounts. A Pecuniary Gift: This is a gift of a fixed sum of money made to the Heart Research Institute. A Specific Gift: This type of bequest enables you to leave a specific cash amount or other asset to the Heart Research Institute. If you have left a Gift in your Will to the Heart Research Institute, please let us and your family know. This does not alter your rights to change or update your wishes if circumstances change, but does help us to recognise your support, plan for the future and ensure that your wishes are carried out. If you choose to leave a Gift in your Will to the Heart Research Institute, you will be provided with the opportunity to join our Hearts for Eternity legacy club. Hearts for Eternity members are generous benefactors who provide the long-term funding needed to uncover scientific breakthroughs. Through this club, we seek to recognise the generosity of our supporters, by providing opportunities for you to tour our laboratories and see our research first hand, and to attend special functions to meet our researchers and other Australians who share your vision of a future without heart disease. 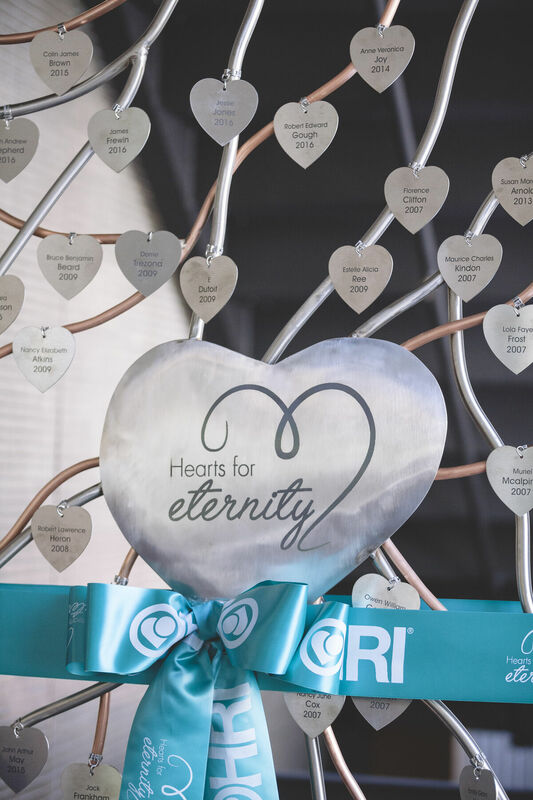 The Heart Research Institute unveiled the beautiful Hearts for Eternity sculpture at our annual Chairman’s Christmas Brunch in 2016. 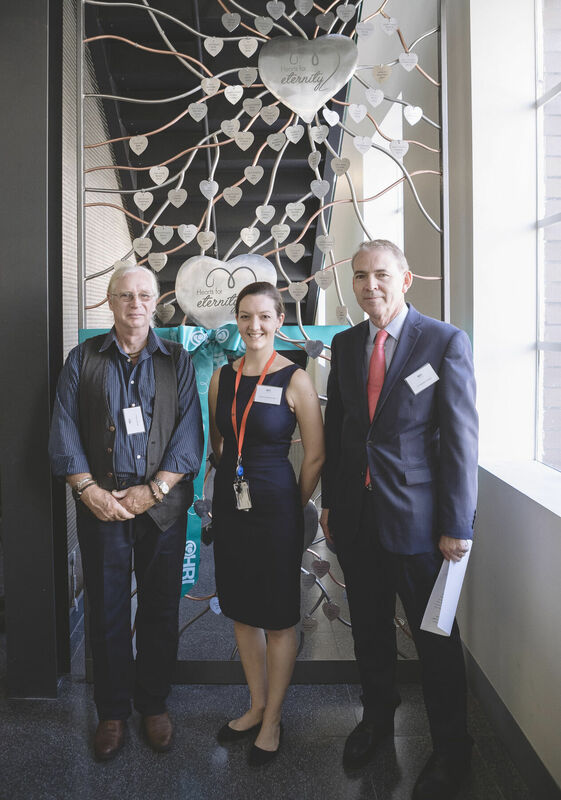 This artwork, which is now a permanent fixture here in the foyer of the Heart Research Institute, is a tribute to the generosity of the many people who have left a Gift in their Will to HRI. For more information on how you can become a Hearts for Eternity member, contact our Gift in Wills Relationship Manager, Laura Petroccitto on 1800 651 363 or get in touch with us using the form above.